How much notice do you need from me to book my event? We make every effort to accommodate same-day orders but we suggest at least 48 hours to ensure availability for drop-off orders and as soon as possible for full-service events. Do you do custom menus? Absolutely! We can create a menu customized to whatever type of event you are hosting. Please contact us to start designing your one of a kind menu. We deliver to New York and New Jersey area. 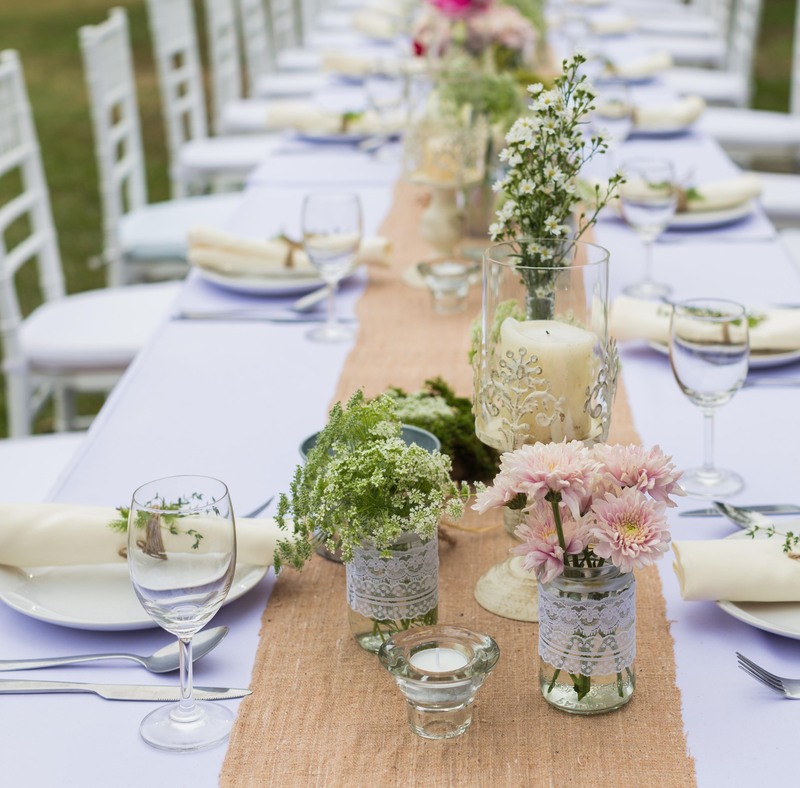 We can provide staffing, rentals, and floral/décor coordination. We can also refer you to valet and entertainment services. Can you cater to dietary needs and special requests? We can create a custom menu that caters to any dietary needs – including Gluten-Free, Dairy-Free, and Kosher. What uniforms do staff wear? Our staff is typically uniformed in all black. Alternative uniforms can be arranged to fit with event theme. What is the preferred payment method? Payment can be made by check or credit card. All credit card transactions will incur a 4% service charge. If paying by credit card please submit a completed credit card authorization. If paying by check please make all checks payable to: Food For Thought Caterers Corp. Please do not cancel. If applicable, cancellation details will be on your contract. How much set-up time should I anticipate? For drop-off orders we will arrive onsite approximately one hour before start time. Full service typically requires a minimum of two hours for set-up. A Full Service Caterer serving New York City for over 20 years. We are a single source for all your event needs, including Food, Staffing, Rentals and Flowers. Whether it be a Breakfast, Buffet or Box Lunch, Reception or Dinner, our attention to detail is unmatched. From a simple “Drop Off” to a “Full Service Sit-down Dinner” Food For Thought’s team will handle every detail and ensure a successful event!